The wonders of Rome are legendary. I have yet to meet someone who has never heard about the majestic Coliseum, the Roman Pantheon or the Catholic bastion that is the Vatican City. Perhaps it is this notoriety which tends to generate a sense of overwhelming panic whenever someone decides to finally visit Rome. The capital city of Italy, in fact, is so chock-full of cultural treasures, historical icons, places to see and things to do that most people tend to feel at a loss when they are about to start planning a trip there. This usually results in many taking the easy way out by joining a group tour or renting a guide, rather than planning and exploring the city on their own. However, panicking is not the way to go, since planning a comprehensive trip to Rome is not as complex as it might seem. 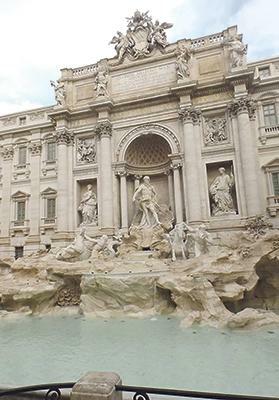 First of all, there is such a varie­ty of experiences to be savoured in Rome that any kind of trip – be it a one-day adventure or a week-long visit, will definitely not be boring. Personally, I would suggest at least five days in Rome, since there is so much to see that anything less would leave you with a whetted appetite and a sense of loss brought about by all the things you did not have time for. Accommodation: Hotels in the city centre are expensive. That is a given. However, transport in Rome is so efficient that one does not really need to be in the city centre to be able to explore everything on one’s itinerary. In fact, finding accommodation at the periphery of Rome is much more preferable, since the traffic, smog and noise will be less, as will the price. Transport: Renting a car in Rome is a no-no. Hard as it may be to believe, traffic and traffic jams are worse than those in Malta, not to mention parking. The Italian capital can, however, boast about a very punctual and dynamic metro system, not to mention very organised bus and tram services. One can easi­ly purchase a Travel Pass, or Roma Pass, which can be valid for a period of 24 hours, up to two, three or even seven days. This pass includes the metro, buses and tram services, and can be purchased at any metro station or convenience store. Time constraints: Be sure to check the opening and closing times of any attraction you are interested in visiting. Certain museums or shops in Italy may be closed on Mondays, others close on Sundays, while others still close for lunch and reopen again later. It would be pointless to spend 30 minutes on the bus, only to arrive at your destination and realise that the place you wanted to visit is closed. Another thing to take into account is the possibility of security checkpoints. 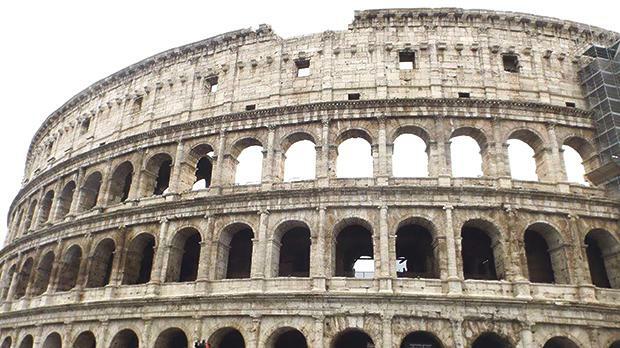 These are a fixture in places such as the entrance to the Vatican City or the Coliseum, so if you are planning to see two or more attractions in one day, make sure to get an early start. Main attractions: Prepare yourself for queues; long queues; queues where you will waste even more time; especially at the main attractions such as the Trevi Fountain, the Coliseum, the Vatican City, the Roman Forum and the Roman Pantheon. 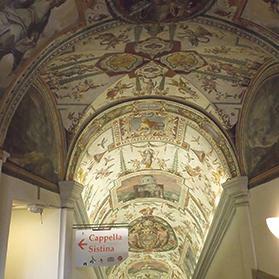 A visit to the Sistine Chapel in the Apostolic Palace at the Vatican City is a must. The solution to this problem is to purchase entrance tickets online beforehand. This is usually not only cheaper but also less time-consuming, since it offers you the option of buying ‘skip-the-line’ tickets which, as the name suggests, enable you to skip most of the queues. Make sure you purchase the tickets from trusted websites such as Isango or Viator. Other unmissable places: My favourite experience in Rome was a visit to the four main Roman catacombs. Underground Rome is, in fact, as mysterious and magical as Rome above ground, and its history just as interesting. For literature lovers, I would also suggest visiting the Keats-Shelley Memorial House, stationed exactly at the corner of the Spanish Steps, where the re­nowned Romantic poet John Keats died. 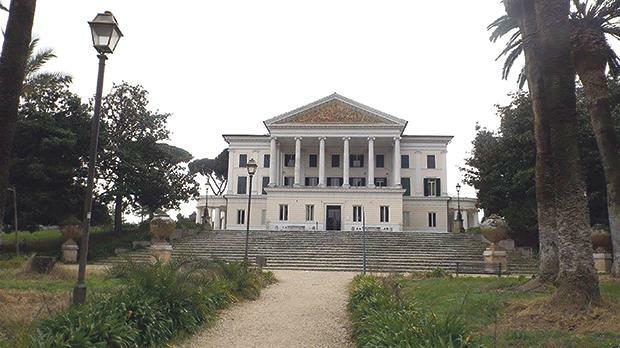 Those with an interest in the history of World War II will surely be tempted to take a look at Villa Torlonia, better known as Mussolini’s private residence. Castel Sant’Angelo, a beautiful round fortress located very near the Vatican City, is another bulwark of Roman architecture, as are the enchanting Villa Borghese and Villa Medici, where one can admire a number of unique sculptures, paintings and artwork. If you need a breather away from the hustle and bustle of the city, the beautifully landscaped gardens of Villa Borghese are a must. Better still is grabbing the commuter train and in less than 40 minutes arriving at the sprawling ruins of Ostia Antica. This huge archaeological site still houses the remains of a number of historical buildings, including a huge amphitheatre, a number of public baths, taverns, inns, shops, various temples and shrines and even a necropolis. Be warned though – you will need a full day to appreciate the remnants of this ancient Roman port.